When sixteen-year-old Amy returns home, she can't tell her family what's happened to her. She can't tell them where she's been since she and her best friend, her cousin Dee, were kidnapped six years ago--who stole them from their families or what's become of Dee. She has to stay silent because she's afraid of what might happen next, and she's desperate to protect her secrets at any cost. Amy tries to readjust to life at "home," but nothing she does feels right. She's a stranger in her own family, and the guilt that she's the one who returned is insurmountable. Amy soon realizes that keeping secrets won't change what's happened, and they may end up hurting those she loves the most. She has to go back in order to move forward, risking everything along the way. 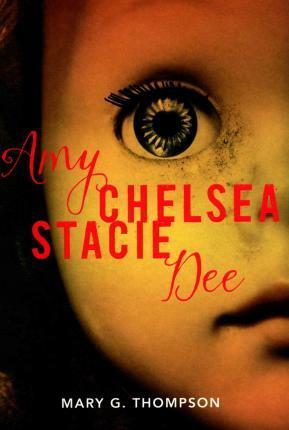 Amy Chelsea Stacie Dee is a riveting, affecting story of loss and hope. Mary G. Thompson was raised in Cottage Grove and Eugene, Oregon. She was a practicing attorney for more than seven years, including almost five years in the US Navy, and is now a law librarian in Washington, DC. She received her BA from Boston University, her JD from the University of Oregon, and her MFA in writing for children from The New School.